Enter the personalization you would like, (ie., names, year, etc.) Please see item description for details. 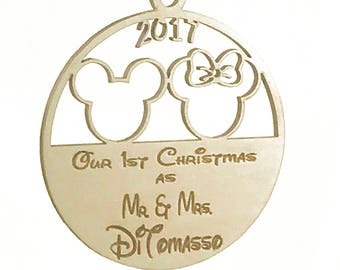 Disney Wedding Themed Christmas Ornament. 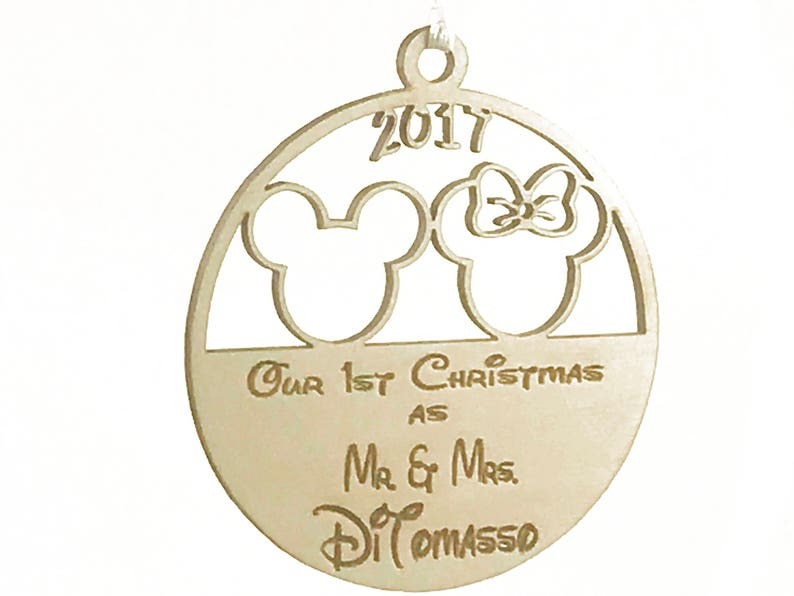 This personalized ornament will be laser cut with your personalized last name. Perfect for hanging on your Christmas tree, bridal/couples shower, wedding gift, or as a gift tag! Each ornament is laser engraved and cut from 1/8" Baltic Birch wood and measures 4" (h) x 3.5" (w). Please make sure you enter the personalization you like in the "Note to Seller" section of your shopping cart at checkout. 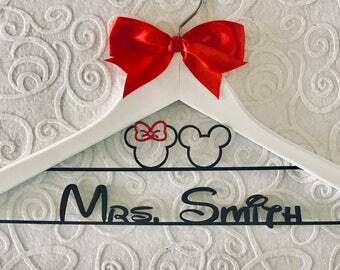 Ornament goes great with our Disney themed Wedding Hangers! Personalized ornaments generally ship in 1-3 business days. Had a minor issue with the original print for an ornament order. They apologized and sent a fixed one as soon as the holidays were over, no questions asked. I appreciate the quick responses and care with making sure we received an amazing product to celebrate the beginning of our lives together!